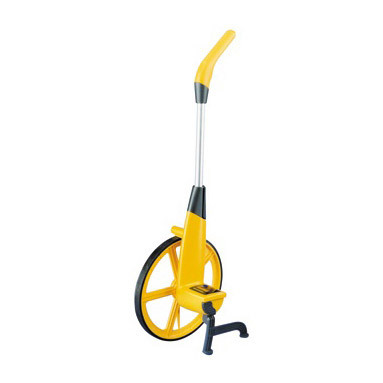 Trumeter Measuremeter (5500) road trundle wheel - metres/decimetres. 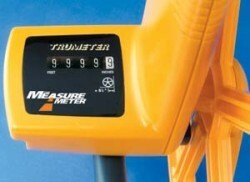 With many unique features, the Trumeter Measuremeter should be the first choice for all your distance measuring applications. Precise measurement - accuracy ± 1%. Range 0 to 9999.9 metres. Clear, easy to read analogue display. Adds forward, subtracts in reverse. Supplied complete with stand and protective nylon carry case - worth £19! Stand folds away when not in use. Rugged construction - lifetime guarantee.